​RELICS HOME is a showroom and furnishings resource for fine furnishings, lighting, art, rugs, and home decor since 1997. The 12,000 square foot showroom was originally located in Abilene, TX prior to down-sizing and moving to it's current location in Wimberley, TX. Relics Home offers furnishings from hundreds of the world's best manufacturers as well as local and international artisans. Relics in-house designers offer full service interior design assistance with building, remodeling and room makeovers. In 1997, shortly after graduating from Abilene Christian University with a degree in industrial technology (with an emphasis in engineering and design), Bex opened the original Relics Home. The eclectic store offered furniture, accessories, and one-of-a-kind art and antiques she discovered on her international travels and mission trips. Bex purchased a historic landmark building in 1999 and after extensive renovations, she expanded the retail showroom. She launched her interior design business incorporating Relics' unique home furnishings and showcasing her personal style of mixing the raw with the refined. In 2003, Bex took on high profile clients based in San Francisco where she was able to explore her passion for design even further. She commuted between the West Coast and West Texas developing products for globally conscious nonprofit organizations, and designing interiors for private clients including Robert Redford. She focused on the use of reclaimed and recycled materials in her designs for law firms, urban residences, vacation homes, and events for corporate clients such as the Sundance Channel and Lexus Hybrid Living. 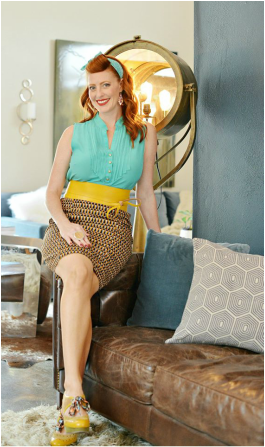 In 2008 Bex expanded the Relics Home product line and built the Texas-based Design Center, a resource for interior designers offering a broad selection of custom home furnishings for design clients. Shortly after, she met East Texas native, David Hale, who was flying C-130's for the U.S. Air Force when he sought out design assistance. Bex and David married in 2011. Bex was cast for the HGTV series, Design Star, and was on the show's seventh season in 2012. The experience opened up a world of opportunities, causing Bex and David to reevaluate what they really wanted out of life. Rather than pursue a career in television, or maintain the demanding retail store and design center, Bex and David chose to focus on family. They moved to Wimberley, Texas where they always envisioned living a sweet, small town life. They started their family and created a luxury vacation rental, Relics Ranch in 2013, and relocated Relics Home to its current location.